The largest portion of non-pension benefits for public employees is typically retiree health insurance, which most states provide. 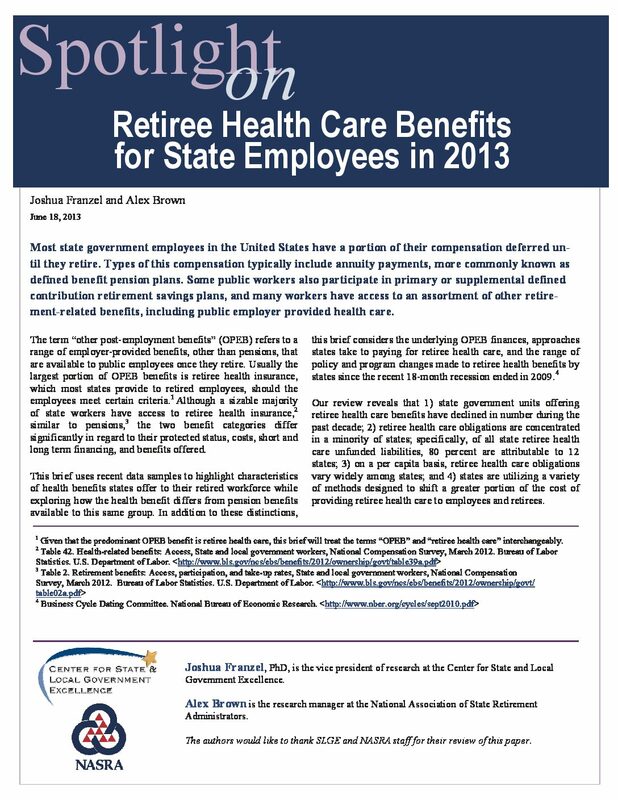 Although a sizable majority of state workers have access to retiree health insurance, similar to pensions, the two benefit categories differ significantly in regard to their protected status, costs, short- and long-term financing, and benefits offered. 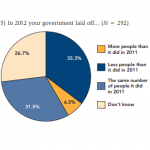 Health care as a portion of overall public employee wage and benefit compensation has increased from 10 percent in 2004 to 12 percent in 2012. 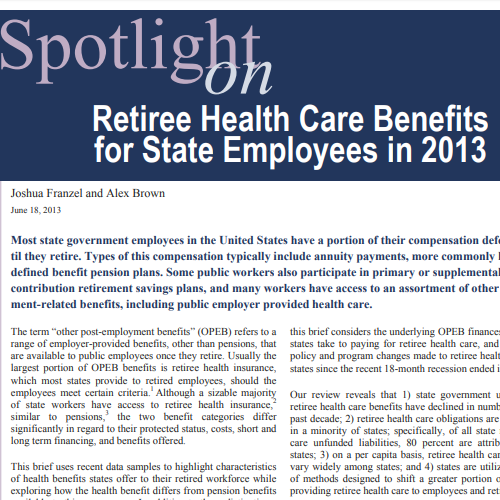 Fewer state government units offer retiree health care benefits now compared to 10 years ago. Retiree health care obligations on a per capita basis vary widely among states. Unfunded retiree health care liabilities are concentrated in a minority of states: of all state retiree health care unfunded liabilities, 80 percent are attributable to 12 states. States use a variety of methods to reduce their retiree health care costs, most commonly shifting more costs to employees and retirees.